Sunny Rampravesh Singh from Bombay, B.Com Graduate. 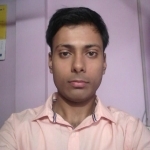 Sunny Rampravesh Singh is Completed B.COM From Mumbai In Year 2016 and currently have no work experience. are one of expert skill area's of Sunny Rampravesh Singh . Sunny Rampravesh Singh is working in Finance industry.